2. Instead of False Security and Insecurities –to venture forth in Faith In Christ – in the power of the resurrection of Jesus Christ. And now in the social media –Facebook or Instagram- we share our experiences –those we can be proud of –instead of being thankful. We are proud of our travels, gadgets, our food, the color of our skin…and for some of their family associations , our surnames, our jobs. Though it truly defines us…it is wrong to ultimately find our security –eternal and abiding- in them –for they shall all pass and be nothing. One thing will only remain in the end. We will be discussing them now. Have you observed –as we grow older –our fathers seems to be repetitive? Either they are saying the same thing becasue it is really important-or we continue to forget or disobey their counsels to them. This repetitiveness springs from our concern of those under our care. And so Paul started at v .1 that these things he will be saying it for their safety…their protection that he has to say these things again. And what are these things? It is about the Judaizers, supposed to be Christians still clinging to the past –to their source of their righteousness. In v2, Paul strongly equates those of the Judaizers with those outside the kingdom…outside the church that he called them dogs, evil workers and mutilators –like that of mention Leviticus 21:15 that Moses when he led the nation -warned them about these things …for they are …more concerned of outward religion instead of what is real in their hearts. In v3 So Paul defined for us –what Gentiles under Christ…under the New Covenant – not under the Sinai Covenant – we should be. One of my distant relative is an Adventist and she was ostracized for her strange beliefs- very anti-Catholic and even anti-Protestant even. And so my interests is checking on how divergent the theologies of Armstrongism and the Seventh Day Adventist on their preoccupation with Food, Festivals and Laws of the Mosaic Covenant..and sometimes I just smile when Evangelicals and even Reformed Christians try to do what ther are doing . For the past 10 years there is a new rage from the works of James Dunn and NT Wright aboiut how we Protestants like Luther misinterpreted Paul. Their teaching is that Justification is about the acceptance of Gentiles in the New Covenant of Jesus. That the whole Judaizing heresy is not abut Justification per se but acceptance within the covenant community. There is truth in their allegations…and that it is true that the preoccupation of 1st century Christians with Jewish boundary markers is in fact disloyalty to the Messiah Jesus. We are no longer defined- if we sacrifice at the Temple or that we even make animal sacrifices..nor observance of Sabbaths, Food Laws or the annual Festivals or whatever is related to the Temple sacrifices. 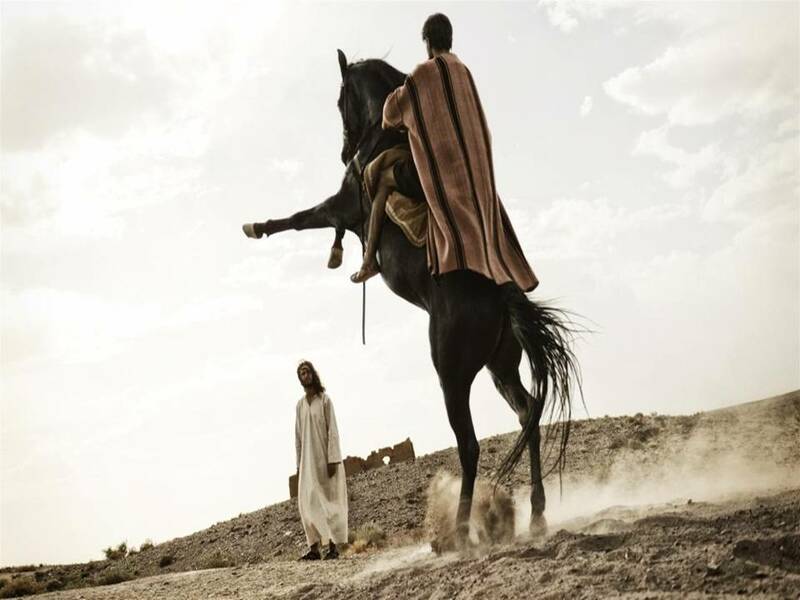 For they are shadows..the reality is in Jesus…his Person and Work. Not just Justification but also our sanctification is first and foremost in Jesus and the Holy Spirit He sent to us –starting at Pentecost. 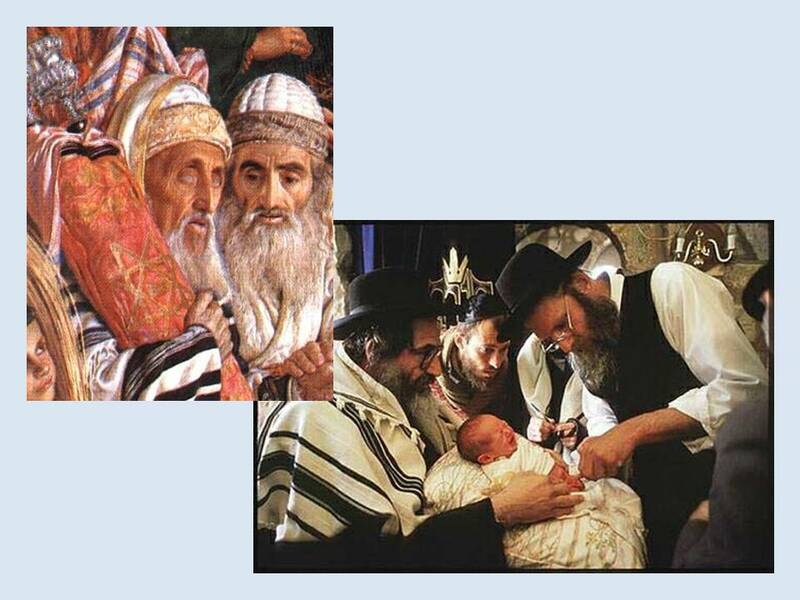 For we the true circumcision..in our hearts…we worship in Spirit and Truth –who was given to us…we take pride in Jesus our Savior and Lord…And we don’t take any confidence in our flesh- our achievements or who we are in this world. We rely only in Jesus. And this is the key – the chord that resonates in the music of the salvation and taught by Paul in chapter 3. In v5 – Paul –tries to stooped to their level –for arguements sake –for He has much to be confident in the flesh…for he was not hastily circumcised when he was already old but since birth –on the 8th day as required by the Law. He is from the Nation of Israel-an Israelite…both of his parents are Jews- Hebrew of Hebrews, from the tribe of Benjamin who remains loyal to Kingdom of Judah and did not secede from it and went to the Northern Kingdom. And as for the Law- in its exacting demands – in ritual purity, Sabbath observation, food laws, and temple sacrifices –he is a member of the strictest sect –Pharisees…the seperated ones- and was mentored by the esteemed Gamaliel. In terms of righteousness demanded by Law and the Sacrifices- he is blameless- without fault! No one can bring an accusation to him before He became a Christian –in terms of outward conformity to the Law. He in fact boasted that his zeal is real –for he pursues the followers of that blasphemer and criminal and accursed Jesus to the ends of the earth. Not until he encountered the Risen Lord at Damascus and realized that there is an alien righteousness coming from Jesus. This is what it amounts to- if Law is seen without what Christ Jesus has done and accomplished in the Cross and His Resurrection …. it is just zeal not according to knowledge. And there are still many out there who will demand from us to gain and maintain salvation to do this or that. As if Jesus did not die in the cross and was not resurrected from the dead and is now at the right hand of God-reigning and interceding for us. Verses 7 to 11 is interesting from a business point of view..for it speaks of loss (forfeiture) and gain (financial assets ) and then even went to the other extreme of considering or accounting it all these gains (plural) as rubbish- dug- waste given to the dogs. and then at v 8 he speaks of gain-asset because of knowing Jesus Christs- which is to him is of supreme worth –to the next level in our lingua, nothing can compare to it …so that he can have that righteousness that comes from trusting Jesus..
And then he spoke of something crazy – “and may share his sufferings, becoming like him in his death” – becoming conformed with him. 2. The Muslim jihadist- They inflict pain and death to others-infidels- so that they can merit paradise with so many virgins waiting for them –like Valhalla that of Norse myth. 4. 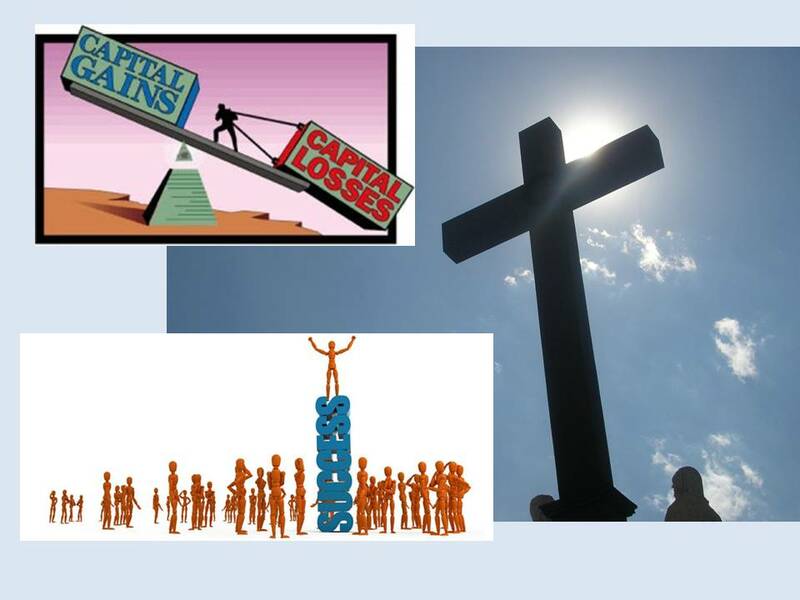 Job/s friends view- all sickness, calamity and poverty can be explained by the lack of faith or the sin of the Christian. 5. Pauline’s view on suffering- in this side of heaven –suffering happens to the Christian who shares and partners in the Gospel- and thus he experience the power of resurrection in this life. Most often – we try to avoid pain and loss and for good reasons- we have inherent instinct to self-preservation..but not all pain and suffering are evil…sometimes it is for our sanctification, our growth as disciples, our growth in wisdom. So many times in the past- when I was suspended as an elder without trial nor appeal in the Presbyterian church, when my father died, during Milenyo, Ondoy and Maring-Habagat our house in San Pedro is inundated by floods-as high as almost waist deep inside in the house, when my nephew-Nathaniel died of drowning, and then last November’s hospitalization due to diverticulosis-during the Yolanda typhoon. I have to go through pain, isolation and fears – And I need to surrender all..my knowledge..my treasure …my idea of security – so that I will know this intimate knowledge of Jesus.. That it is still my direct relationship- my bare and naked connection to the Lord –which is more important. And so with my recent bout with my diverticulitis..and subsequent clearance colonoscopy last January 2014- He wants me to hold onto Him whatever happens. Even when alone in the endoscopy unit. Salvation is free..because Someone paid for it –for we cannot pay –how much we worked for it…and we cannot pretend that we can still do something about it… we must surrender all-consider all things loss…and learn to hold only to Jesus. We must learn to let go . The New Covenant is defined by this newer loyalty. When Douglas Macarthur came to Japan – it is no longer just the Emperor that people should have loyalties to…it is to the American Caesar or Shogun that they should be loyal to as well … To us it is more – it supplants, it replaces totally our earthly allegiance – No king but Jesus. During Lord Supper –when we eat the bread and drink the cup..I am reminded of a scene from a movie- Highlander – starred by Chris Lambert and Sean Connery who belongs to a race called Immortals – there was a scene where Lambert- was sipping the wine and je was remembering what is happening in that year…maybe he reign of a Napoleon ..or his defeat at Waterloo. What do you remember when you drink the cup- we should remember His death and His resurection –yes and primarily yes…but as those with Him..we must also raise a toast to the goodness of our Lord-through the years…the years of pain of sorrow, of pain, pf our isolation , of being misunderstood- for he stood by our side . And through the joys, the fellowship, the triumphs , the times when we were all together as one body …For The Lord is good and always to be trusted…in death and resurrection. The death of Jesus for Christians –cannot be divorced or separated from His resurrection. The meaning the intent and extent of His work at the cross is packaged with His Rising from the grave and that this is applicable in totality to Christians…not just Justification but also sanctiifcation. It is not only the penalty of sin we escaped from –but now in our lives we should experience and expects deliverance as well from the power of sin –and then in the end –its presence as well! Great is the Lord Jesus Christ. Sometimes we take pride in what we know or how we are called – like we are Reformed or Pentecostal or Baptist or Fundamentalist – and that we know more of the ways and mind of our Lord in this world. 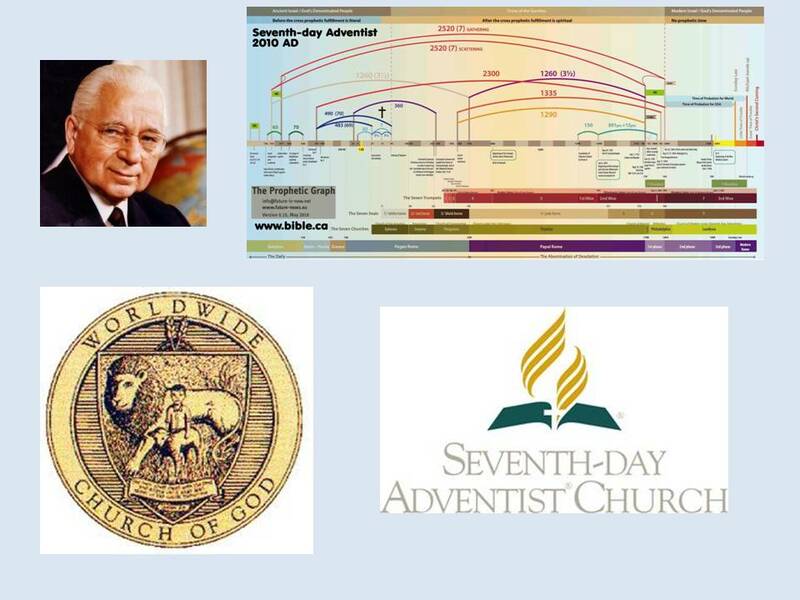 We have undergo in the past –trainings and seminars and so many activities –and we take pride that we are part of the inner circle of a local church –and as time goes on – we no longer grow or sympathize with those new believer being drawn by the Lord to our church- we stopped sharing and discipling others in the basic of the Faith. We also no longer take risks for the faith or in reaching out others- “been there-done that before” and so instead of stretching out for the faith and discipling others for the Lord- we stopped growing and we turn inside our cocoon and hide in our shells. From v 12 to 14-Paul addresses those more mature in faith- in the Christian life- He reminded them –that like him- They have not yet actively obtained nor passively was perfected yet. 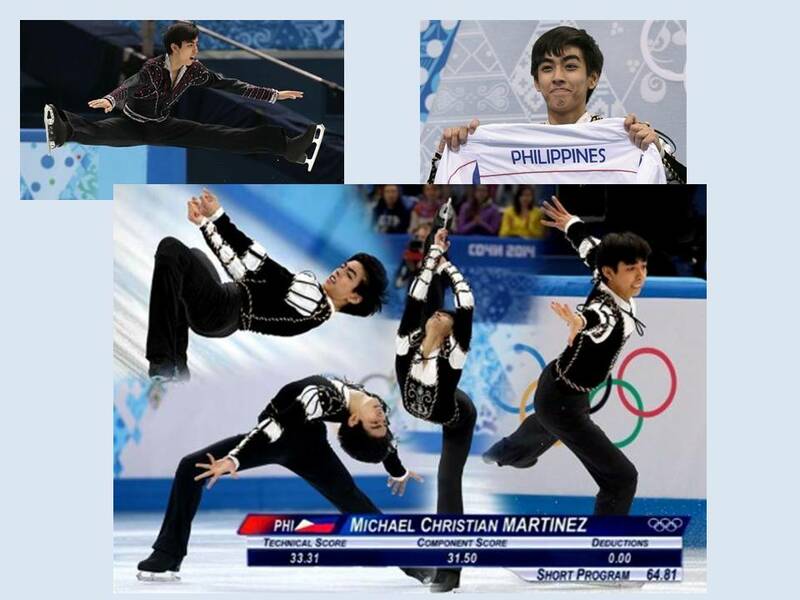 Like an athlete- or our lone Sochi delegate –Michael Christian Martinez -there is growth as sons and disciples – We must continue to press on knowing more and more of Jesus and his calling to us in this world- we must remember that this a call heavenward –to God –and this is part of being a Christian. We must remember this as our target for we might forget. It must be our mark- our crossline in our scope. In our office we have a 3 year goals, annual goals and then the quaterly goals so that we might not lose trackor be distracted. We must forget our past achievements – so as to root out pride and be lax or no longer venturing forth. And we must strive in all our might- our whole heart, mind and strenght must strive to lay hold of Jesus as we are held by Him …We must not let go and be bullied by our fear of defeat or irrelevance. We must live consistent lives and not eventually falls by the wayside and forget who we are. Walking the same rule- same mindset- we continue to serve the One Lord. 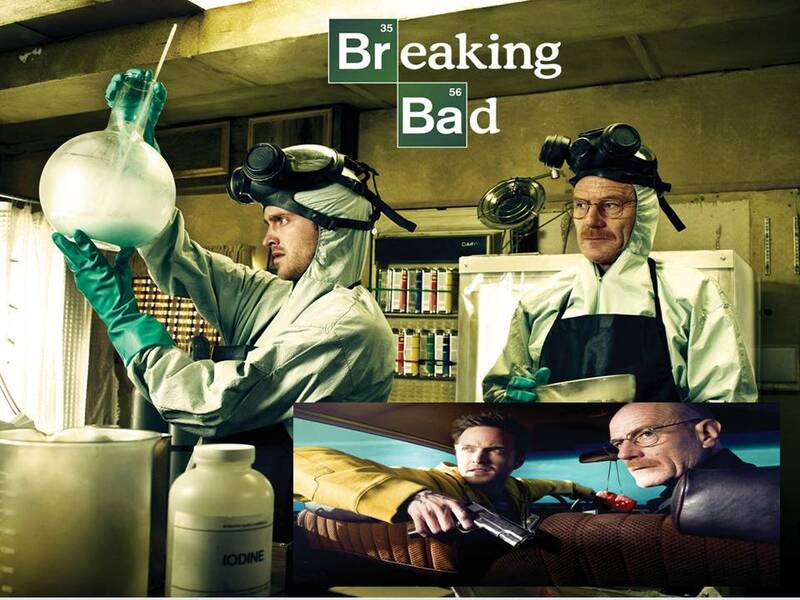 There is a tv series of a Chemistry teacher –Mr White –who when he learn he is dying from lung cancer- instead of redressing his life- turn bad- “Breakig Bad’- instead use his knowledge of chemistry in making high grade shabu and which involves later in the series- murder and so many evils-until he died. There is a real danger here..Jesus died sometime AD 30 and Paul will also die by 67AD-and maybe He wrote these epeistles when he was imprisoned around 62 AD. 30 years is a long time –waiting for the Lord to avenge against His old covenant nation and against the Mighty Roman Empire. And we might also think now also-which is more than 2000 years ago since Jesus –physically left this earth. A christian-a true christian should not be eaten by despair and succumbed to the world. If you think otherwise- Paul is confident –that God will reveal-confront you later of this. When your the one you have known so many years- is now sick and is now dying and heaving his last breathe – Will you remember –that there is a Father that will leave you nor forsake you as an orphan in this world? Someday these lowly bodies will be transformed- no more be ashamed of our sickness or diseases. We will be like Jesus glorified bodies. We will use the energy that He will use in His Second coming in subduing the whole creation to trasform us. By then we will no longer live by Faith- but we shall see Him face-to-face. What would you do now knowing there is still a future for us-a heavenly hope for us? 3. We must act as mature – holding onto what we have learned and yet continue to press on the claims of Lordship in this dying world. 4. We must remain a people of Hope…That Jesus will come again and with Him we will be resurrected in glory. Tomorrow when we arises from our sleep and go to work, school or stay in our neighborhood –this perspective- positive, confident and yet humble before God – be our guide as we talk to other persons, neighbors..let us express and spread that there is hope beyond this world –this space and time- and let us point to the person who makes it all possible- the Lord Jesus Christ. Matthew 24: 4 Jesus answered: “Watch out that no one deceives you. 5 For many will come in my name, claiming, ‘I am the Messiah,’ and will deceive many. 6 You will hear of wars and rumors of wars, but see to it that you are not alarmed. Such things must happen, but the end is still to come. 7 Nation will rise against nation, and kingdom against kingdom. 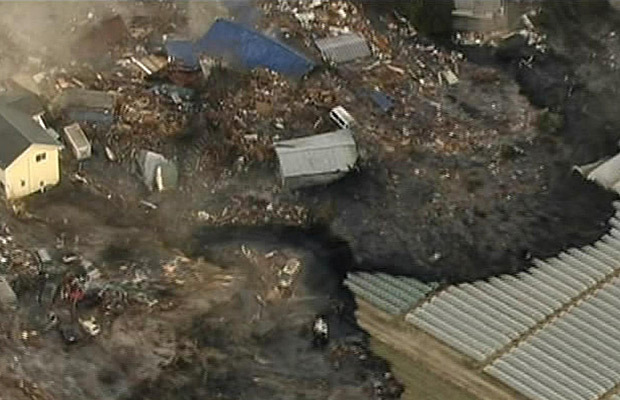 There will be famines and earthquakes in various places. 8 All these are the beginning of birth pains. The recent civil unrest in Egpyt,Tunisia,Libya,Saudi Arabia and Yemen is alarming-o say the least. We, Filipinos are more concerned of the effect of these things to our families interms of financial income. Many OFWs are detailed in these oil-rich countries. Any changes there will affect how we plan and sustain our family. College tuition fees and allowances are a real,headache. Many of my co-officemates had alreday lef for the West becaus eof fear of not able to sustain their children through college. They are now in Canada, United States,Britain,Australia and New Zealand. And then the erratic flods and rains are also coming. Reminding -how fragile Nature is to our mismanagement. We have used u her resources without thinking of the long-term implications of ur actions. And so we are now thinking that the recent convulsions of the earth is related to this misuse. Some are also relating it to biblical prophecies of the Armageddon -type. Fortunately I am not a premil. I am a postmil with a partial preterist viewpoint. The said Scriptures above refer to AD70 when Jesus came back against apstate Israel and her lovers-the Romans and strike His judgement against that adulterous generation. Society of Philippine Electrical Contractors (SPECS) joined delegates from other countries in the Annual General Meeting of the International Federation for the Safety of Electricity Users, known as FISUEL (for Fédération Internationale pour la sécurité des usagers de l’électricité), held on May 20 and 21 at the Royal Park Hotel in Tokyo, Japan. Fisuel is an international association that creates standards, regulations and installation inspection systems following standards set by the International Electrotechnical Commission or IEC. SPECS was invited to the annual gathering by FISUEL President Romualdo Arias. Our group was represented by Engr. Ray Anthony Rodriguez of MERALCO. 1. “Technical Reference for EV Charging Systems” presented by Mr Tan Hak Khoon, Electricity Inspectorate of Energy Market Authority, Singapore. 2. “Connecting a microgeneration system to a domestic or similar electrical installation” (in parallel with the main supplies) by Mike Clark from ESC England. 1. FEEDS 2.0 – technologies by Mr. Benoit Dome of the European Copper Institute, geared towards safer installations in dwellings in Europe that includes smart metering, heat pumps, embedded generators, home automation systems, building energy management and home ready for the electric vehicle charging. 2. Online and virtual reality training (blended learning scenario) of operators by Mr Jim Speirs of NICEIC, England that showed electrical installations available in their country and which are also be available, for a fee, to other countries subscribing to the British Standard 7671. They provide certification for a range of courses –which can verified at their website at http://niceic.com . 3. Malaysian Energy Commission Roles and Functions by Mr Ibrahim of the Malaysian Energy Commission. 4. 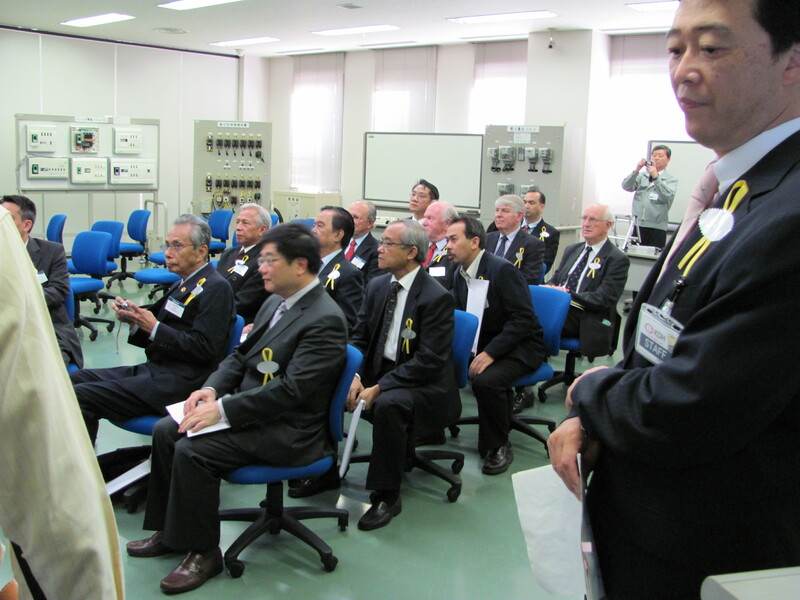 “Electrical safety for household in Japan” by Mr. Morita of the Kansai Electrical Safety Inspection Association and FESIA. Most inspections of dwellings, prior to energization, are being done by a third party group (instead of our local practice wherein the local government and the utility make their own inspections). This also covers periodic inspections of the residential dwellings later. 6. Video presentation on the haphazard electrification of residential houses in the suburbs of Senegal, by Mr. Adiouma Dione. All proceedings were simultaneously translated in three languages – English, French and Niponggo – through a hand-held communication device. FISUEL was founded on February 1, 2002. It has 17 active members and 13 associate members representing 22 countries1. It helps countries set up electrical installation standardization, harmonize inspection procedures as well as the application of these standards. 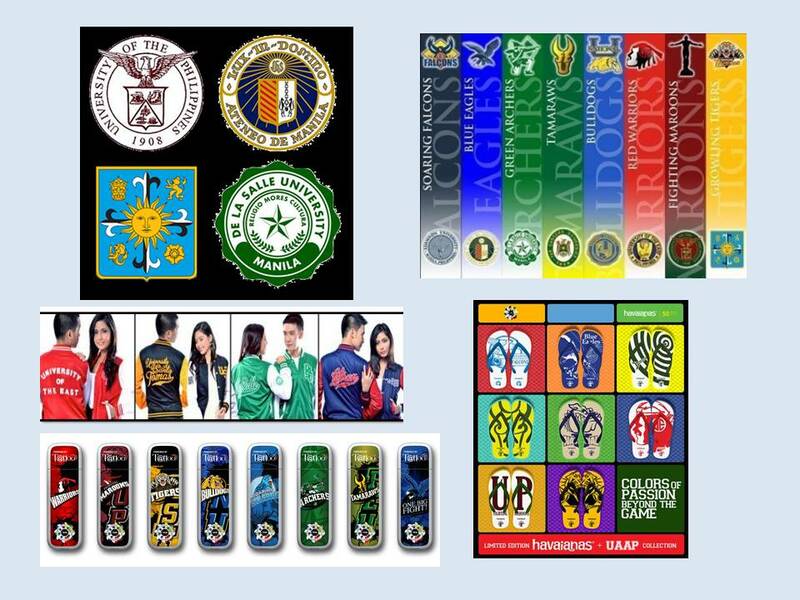 It therefore helps develop an organization and its affiliate’s image beyond international borders. 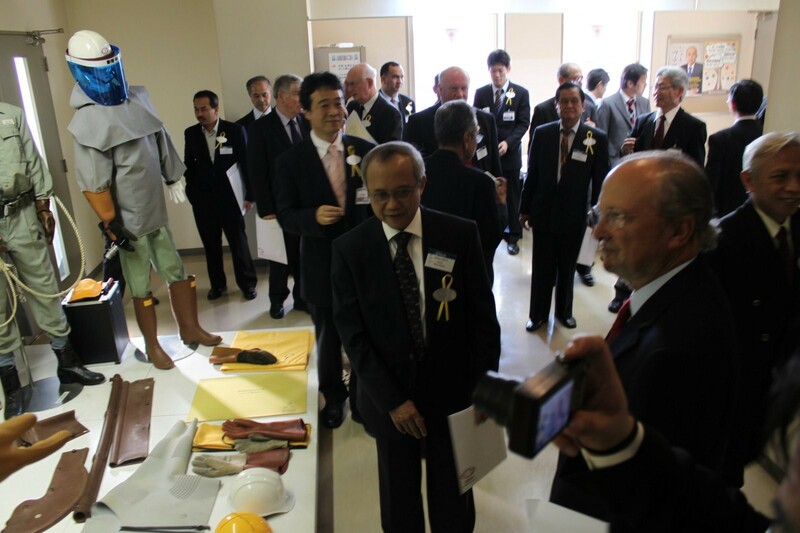 The member countries together promote electrical safety at an international level by encouraging contacts and sharing of experiences between countries. Countries and other entities represented in FISUEL are Belgium, Cameroon, France, Portugal, United Kingdom, Ireland, Indonesia, Japan, Morocco, Senegal, Benin, Gabon, Lebanon, Ivory Coast, Morocco, Spain, Korea, Poland, Switzerland, Singapore, Malaysia, Argentina; an international organization – Union Internationale pour les Applications de l’Electricite and a European body – European Copper Institute. 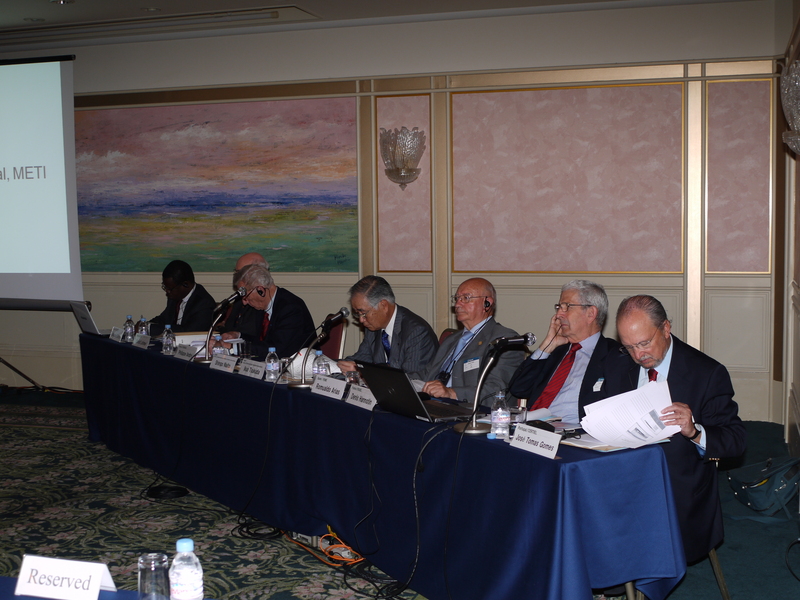 There were also other guest observers at the meeting, from Cote D’Ivoire, Taiwan, Hong Kong and the Philippines. The next 2011 Annual General Meeting will be held in Madrid, Spain. The next forum will be held during the fall of this year and will probably take place either in Mexico or in Riyadh. 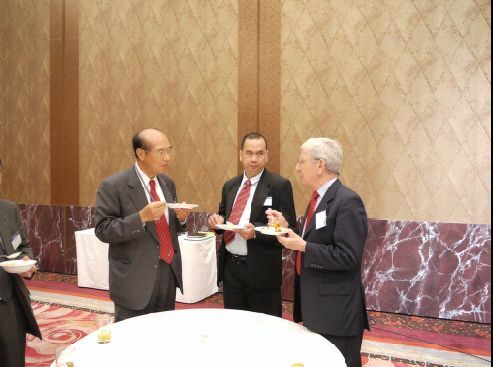 Our former SPECS Governor –Engr Ray Anthony Rodriguez of Meralco-together with FESIA’s Past President –Mr Katsumasa Ishige and FISUEL’s Project Manager-Denis Hannotin. 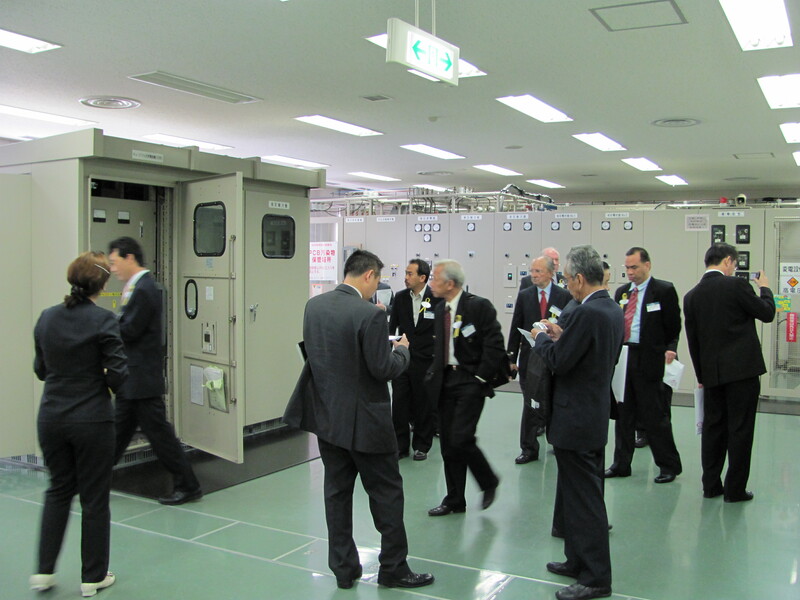 Pictures of the delegates within FESIA’s training center at Chiba City.